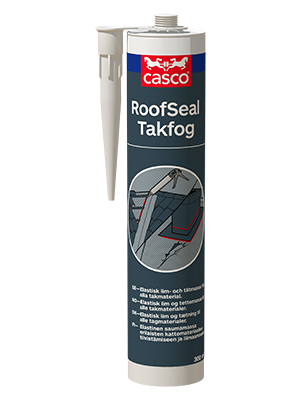 Elastic adhesive and sealant for all materials on roof. Non-sag gun-grade adhesive sealant for roof applications. Especially intended for bonding and sealing of roofing felts and repair of bubbles and cracks in roofing felt, also suitable on roofing tiles, roofing sheets and as sealing joint around chimneys. The sealant can be applied to vertical surfaces at temperature up to 50°C. 1-2 hours depending on thickness and temperature. Approx. 2 mm per day the first 24h.